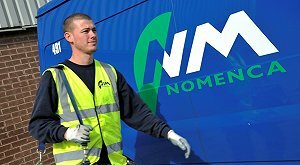 Specialist MEICA Contractor, Nomenca Limited, has secured a five-year framework agreement with Wessex Water Services to deliver a range of projects throughout AMP6. Nomenca has a long-standing relationship with Wessex Water, having worked with them for over ten years. Most recently, Nomenca was selected as one of Wessex Water’s operations, electrical, mechanical and instrumentation partners. The projects include the construction of new assets and the refurbishment, modifications to, and maintenance of existing assets above and below ground which are associated with waste water treatment works, water treatment works and related treatment process packages.